Once a sleepy little village near Shimla, Chail has become one of the most preferred tourist locations , ever since Maharaja Bhupinder Singh of Patiala developed it as his summer capital in the late nineteenth century, there are many places to visit in Chail and its surrounding areas Set against the backdrop of the snow-clad Shivalik peaks, this amazing region offers a marvellous view of the beautiful orchards and pine valleys. In recent times, Chail has provided a great respite to travellers looking for an alternative for the relatively more congested hill station, Shimla. Chail enjoys good connectivity by road along the Kalka-Shimla route to various locations. There are regular buses to Chail that leave from Chandigarh, Shimla and Delhi. Air travellers can fly to Shimla Airport with the help of a daily flight from Delhi. Kalka-Shimla railway helps tourists to reach Chail by train. 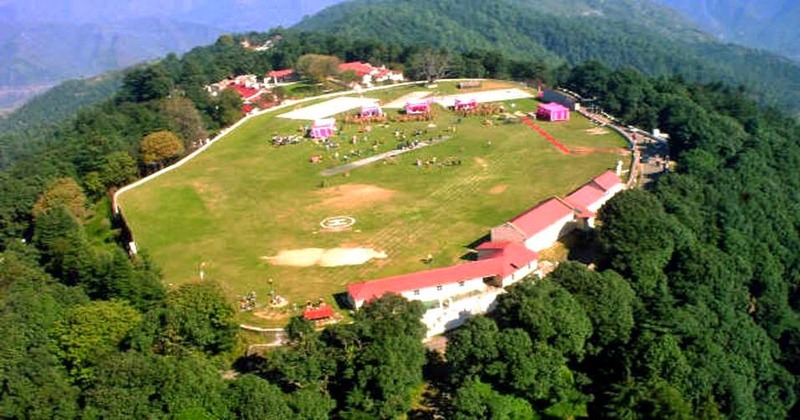 There are many tourist attractions in Chail other than the popular cricket ground. Gurudwara, built in an Indo-Western style. It was constructed in the early twentieth century, and has a 22-feet high wooden roof. A temple dedicated to a saint who had appeared in Maharaja Bhupinder Singh's dream can also be visited while sight-seeing in Chail. People who come to Chail for having a memorable vacation are always in need of an excellent hotel or resort for their accommodation. Most of the resorts in Chail are situated in the midst of peaceful surroundings with an awe-inspiring view of natural landscapes. Rooms of these resorts are provided with all the latest facilities. A tea-coffee maker, a multi-cuisine restaurant and indoor games are some of the facilities offered to the guests in these resorts.